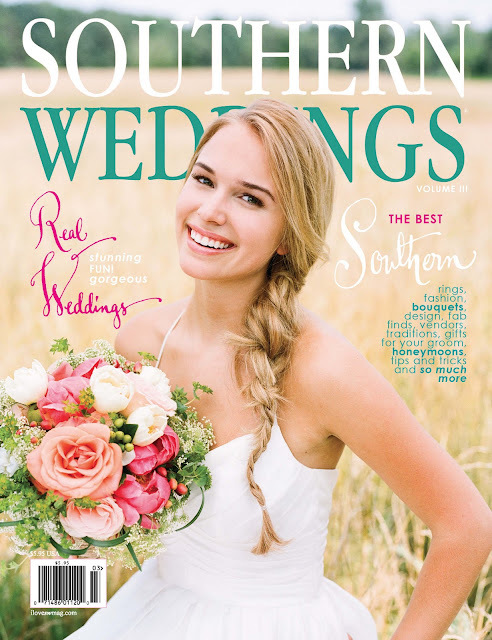 a little birdie told me that this little ol' blog made it onto a pretty sweet list of top blogs in the new Southern Weddings Mag. So cool! Oh this is fabulous Erin!!! Congrats to you on such an accomplishment! I think champagne is in order! Love what they wrote too!! Well you deserve it because your blog is fab! Just fabulous Erin!! Well deserved!! Congrats! 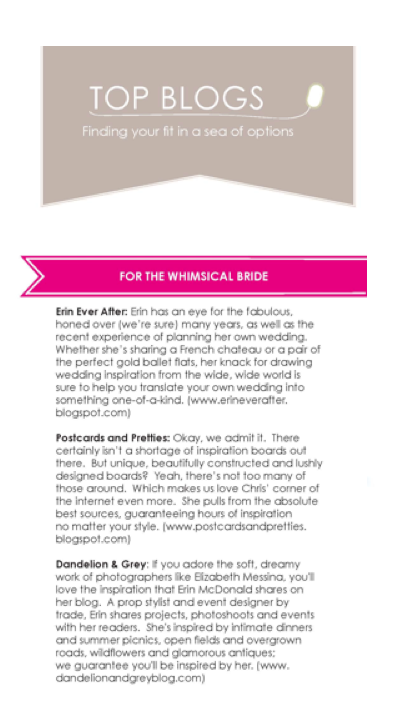 Love Chris and Erin too..you guys all have fab blogs!